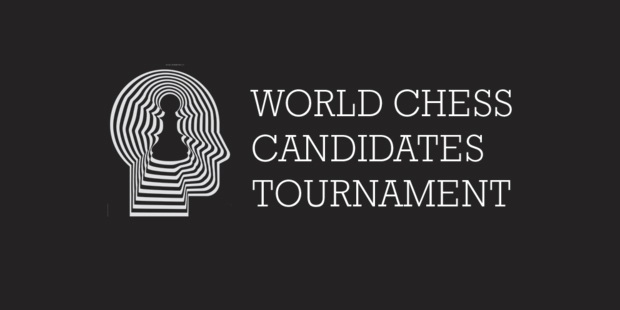 Giri, Caruana, Aronian, Svidler, Anand, Nakamura, Topalov, Karjakin battle it out in Moscow. The 2016 Candidates tournament continued on Saturday the 12th of March, with round 2. The questions were there to be answered: Could Viswanathan Anand continue his fine start to the tournament with another win? Could Veselin Topalov bounce back from his defeat (at the hands of Anand) even in the face of adversity and a second Black game on the spin? 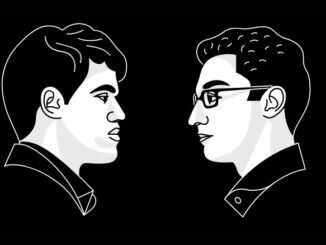 Would the gloves come off in the game of the young whipper-snappers, Caruana-Giri? Well, the winner of the round was Sergey Karjakin, who benefitted from a slip up by Hikaru Nakamura. Their Queen’s Indian arrived at the position of Pashikian-Hayrapetyan, Al Ain 2014, (a win for White in 66-moves), and then Nakamura varied with 12…Nf8. This led to equal play, with White posting a lovely knight on e5, and Black taking space on the Queenside. What struck me about the situation was that both players had a lovely pair of bishops, both of White’s fianchetto’d and crisscrossing the board, while Black’s both fired across to the Kingside. The diagram, above, shows the situation with Black having just played 17…c5, causing some tension and flexibility in the centre. There are the bishops, as already mentioned, with both players wanting to improve their knights if anything. Karjakin proved rather obliging towards his opponent on that score, exchanging 18.dxc5 (18.Nc4 was an interesting alternative, targeting the bishop on d6) where Black returned with …Nxc5 with an improved position. The game became a positional affair, with very little contact between the opposing forces. Instead, the players manoeuvred, endeavouring to find and create the best squares for their pieces. Karjakin got the better of this, with Nakamura’s position seeming to suffer. His bishops came to look especially worse for wear, at one moment side by side on b7 and c7. However, he did manage to improve things as diagram 2.2 shows. White has just played 29.h4 and the position is about equal. However, Nakamura obviously felt otherwise, and switched to tactics, either feeling that he was better, or feeling anxious and that he had to do something. Whatever the reason, he went for the blunderful 29…Nxg3?? There followed: 30. fxg3 Nxd4 31. Bxd4 Bxd4 32. exd4 Qe3+ 33. Qf2 Qxd3 and here, Black most likely had a rude awakening by 34. Rc7! attacking f7 and b7 at the same time. From here, the game was White’s and Black was soon resigning. Fans were hoping for a battle in Caruana-Giri, and the players did not disappoint. Their Berlin Defence saw White produce a novelty on his 14th with Qd1 and this led to very interesting play. White obtained an intrusive passed pawn on e6 but had his Queenside busted with double b-pawns. In a very curious evening up of the situation, White returned the compliment of busting the Black Queenside, while Black obtained a passed pawn of his own on d3. The diagram, below, shows the situation after 42.Re2, absolutely equal, and a draw was agreed. Peter Svidler didn’t really achieve anything as White against Veselin Topalov. Both players seemed prepared to the hilt in the Open Berlin, which is of course no surprise. It fizzled very quickly and was completely dead drawn in 30-moves. The same can be said for Aronian-Anand. Although it started well enough, and began to look promising with Black’s pieces amassing on the Queenside and White’s on the Kingside, there was always the feeling that they would suddenly begin to fly everywhere and leave a position with very little left in it. This indeed did happen and they split the point in 31-moves. 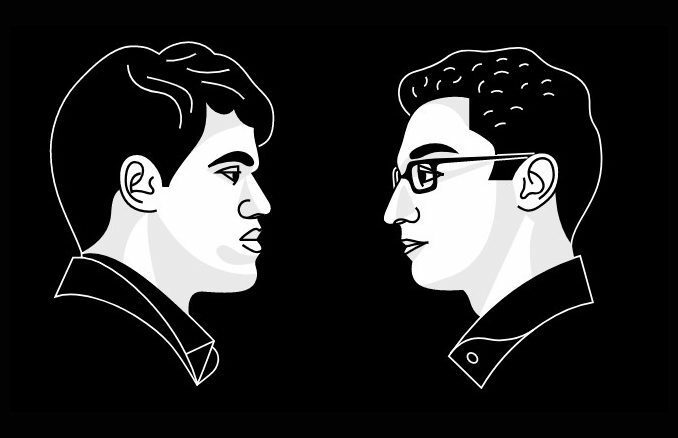 And so, after the opening two rounds, Viswanathan Anand and Sergey Karjakin are setting the pace on 1.5/2.